In Which the Pirate Pulls Out the Blanket. Although summer did its best to hang on long past its usual farewell, autumn is finally beginning to take hold. We had our first frost warning of the season this week. 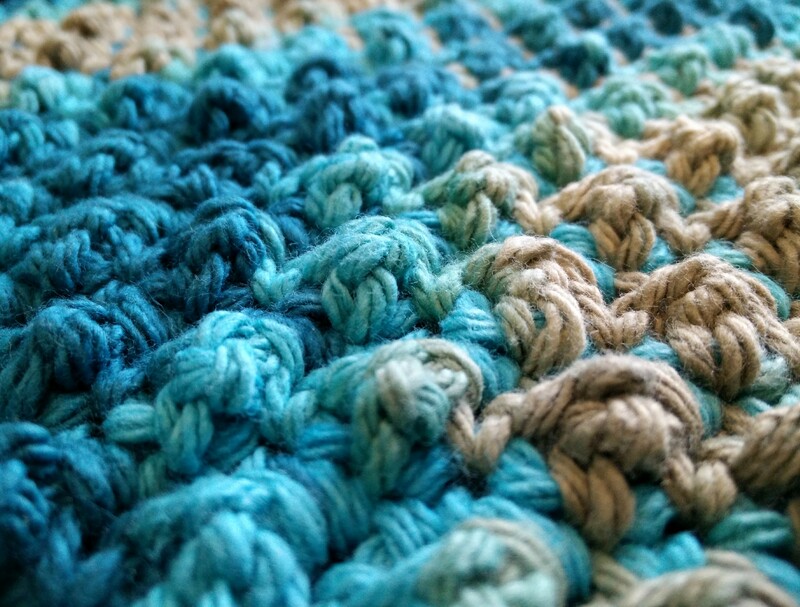 I gave in and turned the heat on (just at night, though) and put the electric blanket back on the bed... then I remembered that I'd been crocheting an afghan, and brought it out of hibernation. 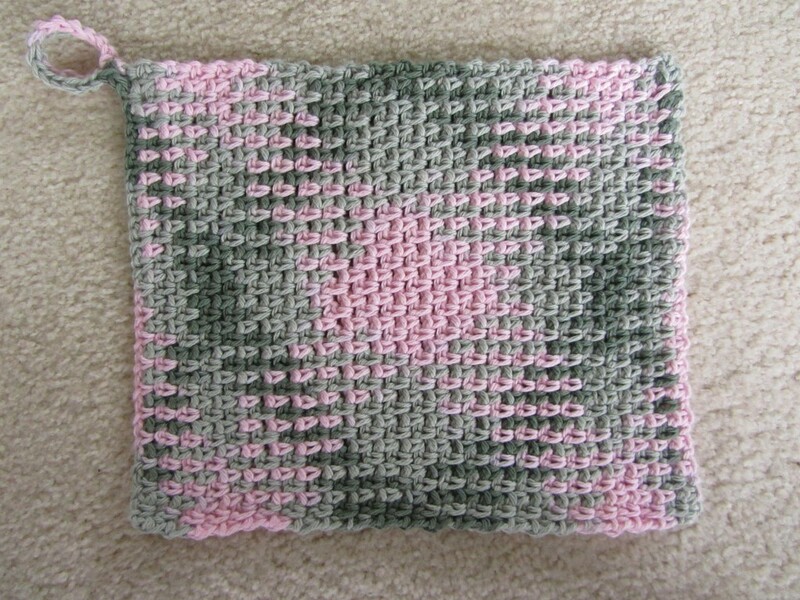 Here are the first four squares I made... three years ago. Ooops. 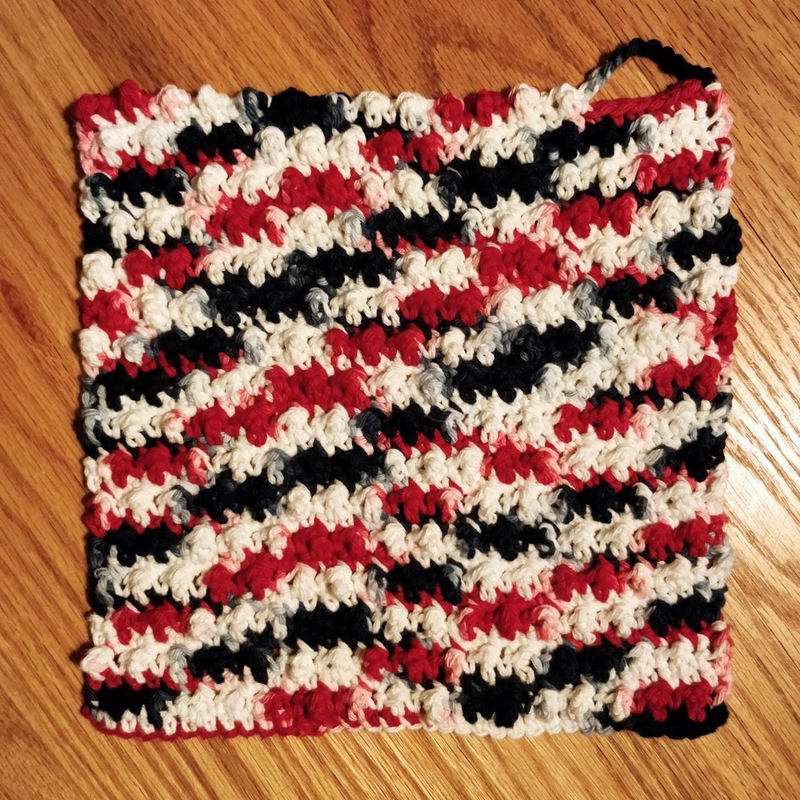 I've been working in strips that are 12 squares long, and I have three of those completed already. 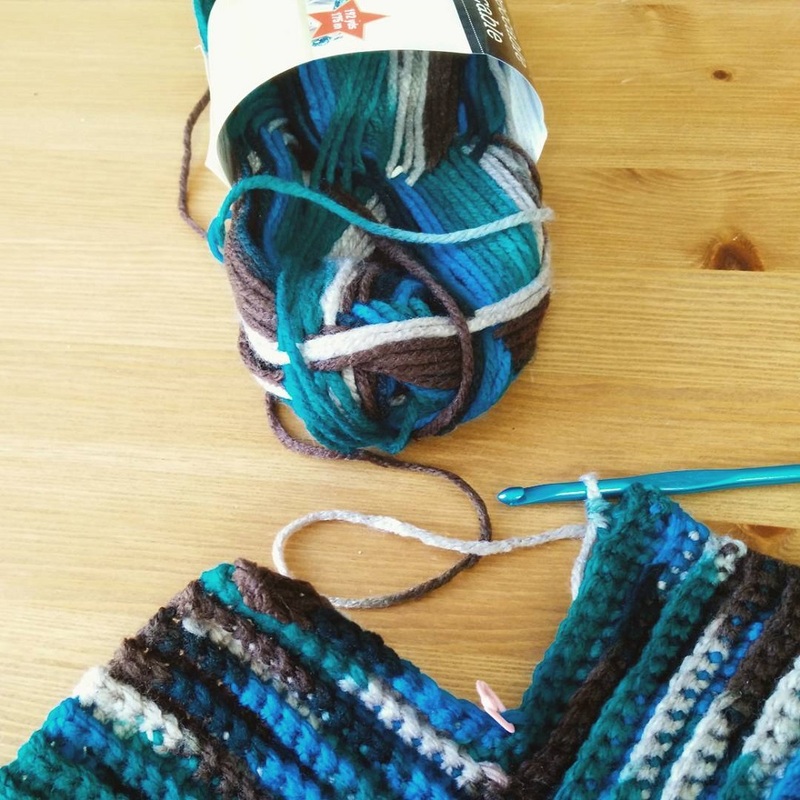 The finished blanket will have 14 to 16 strips in total, depending on how long it gets once I put it all together. The slowest part of the process is making the chain for each new square, so I thought I'd try making a strip or two of six double-sized squares. The last few rows are satisfyingly quick, with so few stitches to work. Some of my friends are gently encouraging me to sign up for National Novel Writing Month, but I think I might dedicate November to this blanket instead. 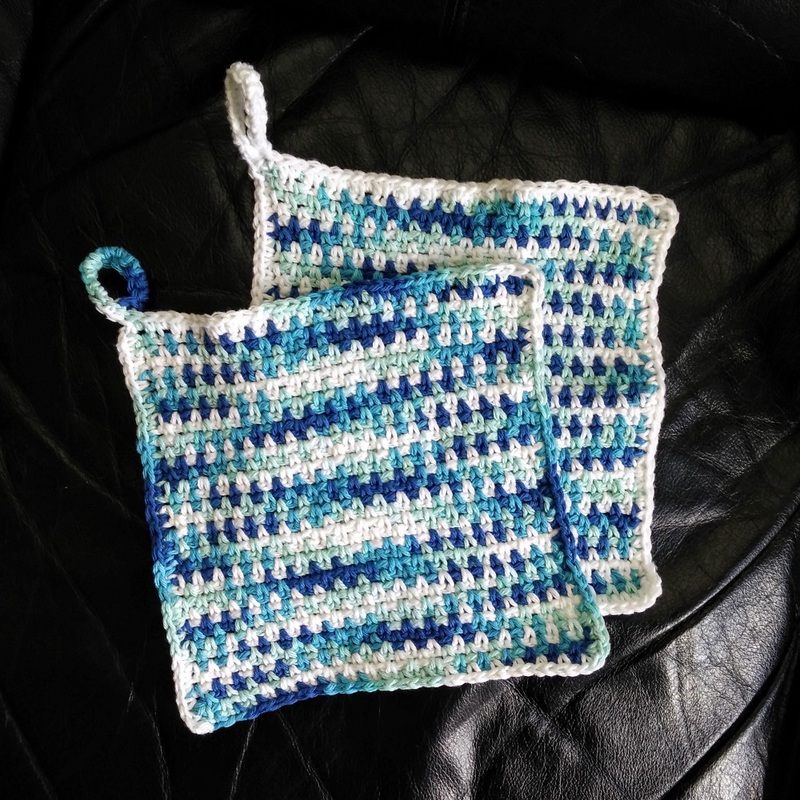 There's little chance of actually finishing in only 30 days (not with 140 squares left to go, no way!) 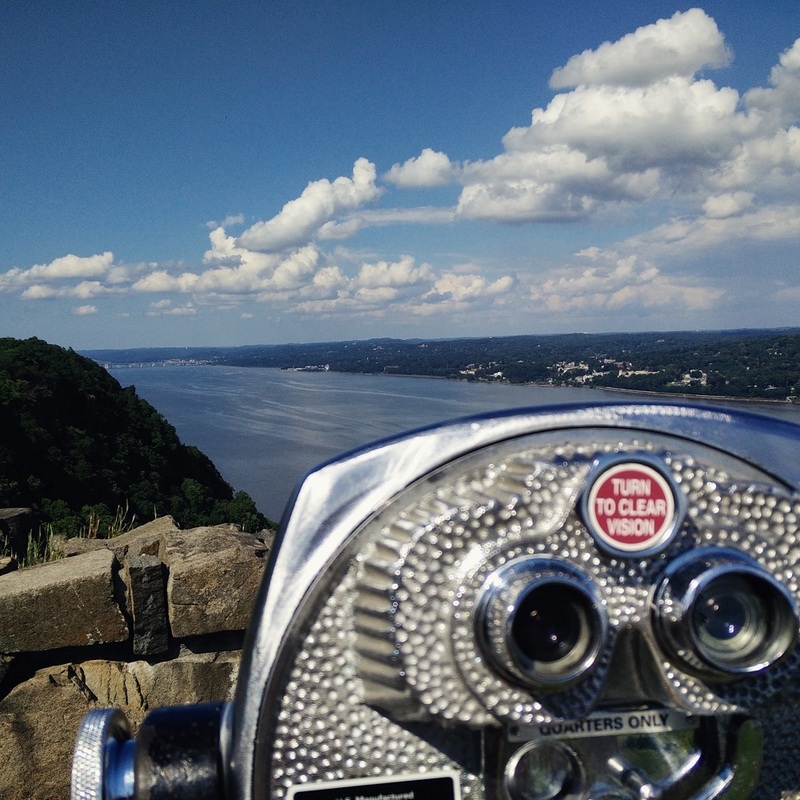 but if I focus, I could make some significant progress. Maybe I could even have it done before next summer...? Comments Off on In Which the Pirate Pulls Out the Blanket. In Which the Pirate Makes a Wee Sheepie. The pattern for Sheep Etu suggests first pinning the stuffed feet to the body of the sheep to get the right balance before sewing them on. I didn't bother doing that, since Wee Sheepie is going to ride in the car and won't need to stand up on its own - and I saved myself the effort, as none of the feet ended up exactly where I thought they would go, anyway. Perhaps my sewing-together skills could use some improvement, but the feet were so tiny and awkward, and moved around a bit as I worked. I started at the top of Wee Sheepie's back with just single crochet, but it wasn't fluffy enough, so I soon switched to mostly double crochet - "mostly" because I added in some extra stitches here and there, as needed, to round out the sheep's shape. The Buttercup yarn is really tricky to work with! I dropped the hook a few times and had a hard time picking up a loop, as the floofy fibres completely obscure the stitches. But without too much cursing, I worked my way around and around until Wee Sheepie was no longer naked. There's enough Buttercup left over for a second sheep. The first one is so cute, I'm more than a little tempted to make another! Taking a good picture of a fluffy white sheep is another challenge altogether. It's much cuter in person than most of my photos showed! So instead of more sheep shots, here's a picture of Sparkplug, the cargoyle I mentioned on Monday, which inspired my brother to request a sheep in the first place. In Which the Pirate Crochets a Sheep. In my car I have a small stuffed gargoyle - a CARgoyle - named Sparkplug, who comes along on all my drives. Sparky was given to me as a good-luck companion when I got my very first car, and he's ridden along with me in every car I've owned since then. 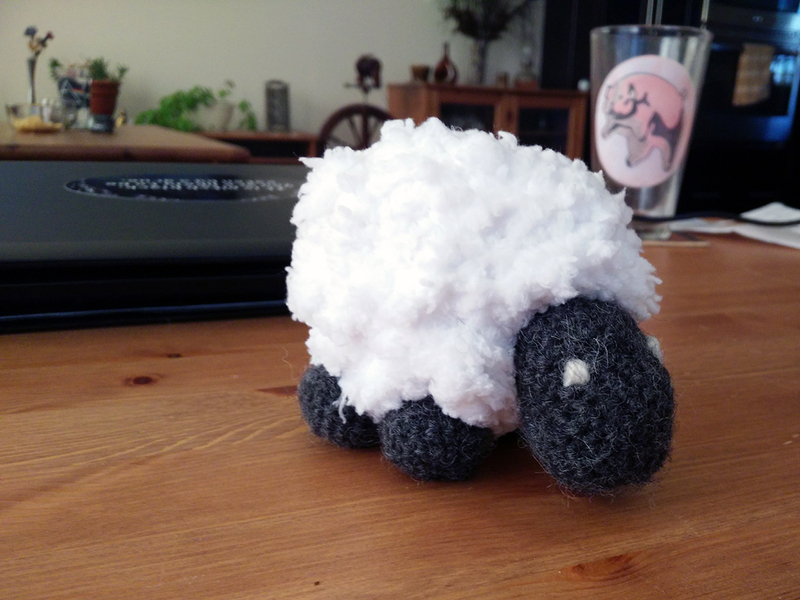 My brother asked me if I could knit or crochet a companion for his drives, but not a cargoyle - no, he wanted a sheep. I found the Sheep Etu pattern on Ravelry and bought some Red Heart Buttercup, which practically looked like a fluffy sheep already. But when I tried to start crocheting the little sheep, I was quickly frustrated - the fluff of the yarn made it impossible to do a magic ring, never mind being able to see the stitches. What to do, what to do... a-ha! 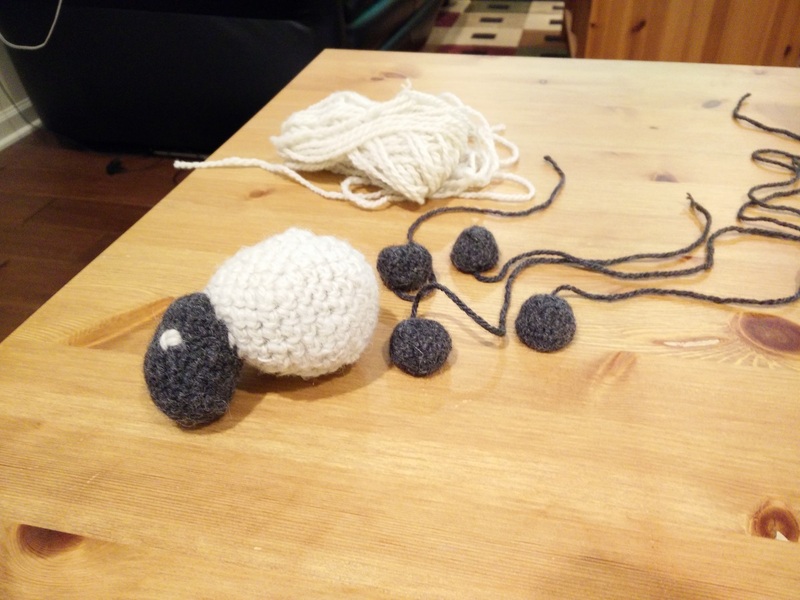 Another Raveler suggested using a smoother yarn to make the body of the sheep, and then surface-crocheting the fluff onto it. The smoother yarn turned out to be some of the leftover Jacob I'd spun for the Winterlude Hat a few years ago. What's more fitting than making a sheep out of sheep's wool? The face and feet are also made from a small amount of leftover KnitPicks Andean Treasure. Crocheting the sheep parts took a surprisingly long time. The dark face and feet were particularly challenging, as I was working with a smaller hook than the yarn called for so that the stuffing won't peek out. But now the sheep is ready for me to sew on its little feet... and then, the floofifying can begin. Comments Off on In Which the Pirate Crochets a Sheep. In Which the Pirate Stayed Home. 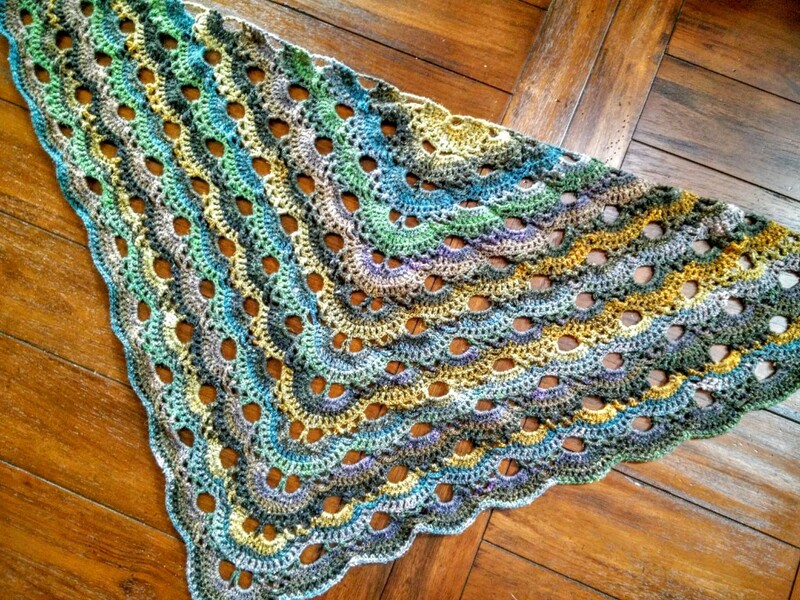 Well, I didn't get to go to Rhinebeck after all - but the house is on the market, and the shawl is complete! I'm so pleased with how it came out. The border is just a simple repeat of (sc, ch1), with two sc/ch1 pairs in the gaps between scallops, to keep it from ruffling up too much. Stretching the shawl out dry seemed to flatten out the fabric reasonably well, but I think it would look even better after a bath and firm blocking. Noro being Noro, I'd expected a few knots. I wasn't disappointed; there was one in each of the two balls. That led to some interesting colour-swapping and lots of ends to weave in, but the rows were so long by the end that I don't think it's noticeable. On the last row, I measured out how much yarn it took to work one of the fan shapes, and then the rest of the yarn, because I wasn't sure I was going to make it - but there was just enough. The next question is, how and when do I even wear the thing? I really enjoyed making it, but will I actually wear it? We shall see! Comments Off on In Which the Pirate Stayed Home. In Which the Pirate Crochets On. 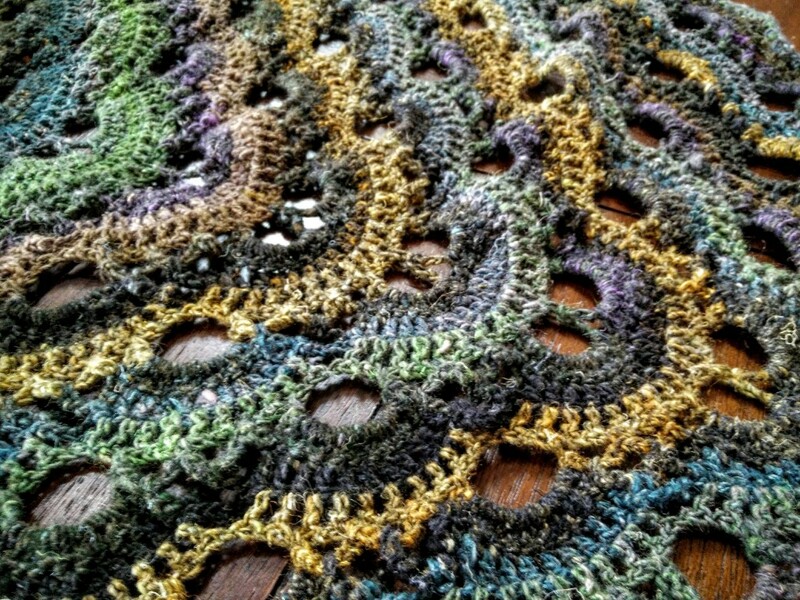 Although I'm still not sure if I'll be able to go to Rhinebeck this year, I'm working on the shawl anyway! The rows are getting longer, but as I'm starting to memorize the pattern, I can put on a football game and crochet away. 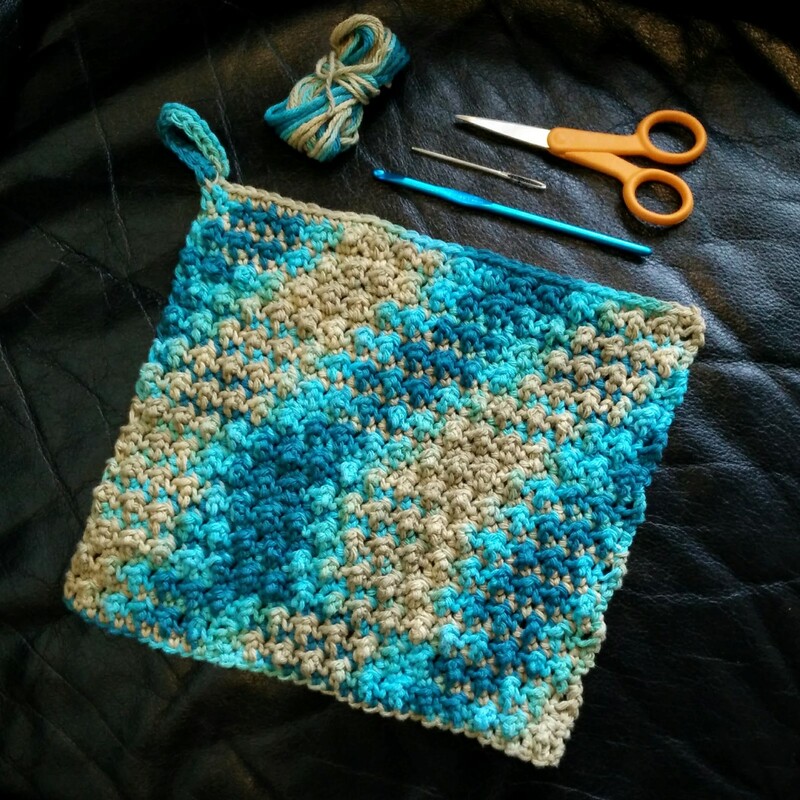 Well, sort of - crochet does seem to take more of my attention than knitting does, since the next stitch could literally go anywhere. The pattern is easy to get the hang of, though obviously the finished shawl is going to need some firm blocking to really show it off. All lace is wrinkly, but the thick-and-thin Noro is exacerbating the rumpled look here. I love how the colours are playing out, though! Comments Off on In Which the Pirate Crochets On. In Which the Pirate Has Startitis. The two-colour hat is coming along; I've re-knit everything that I had to rip out and then some. This coming weekend I'm going to get my 16" size 6/4mm circulars back from Mom, and transfer the project over. That should help make it go even faster. I still need to figure out how I'm going to do the decreases, but I'll worry about that when I get there. Meanwhile, there's a possibility that I will make it up to Rhinebeck this year! It's not that I plan to buy anything, or that I really need new yarn or fibre, but I love going anyway. Being around all the knitters, yarn, and beautiful projects helps replenish my motivation and inspiration! 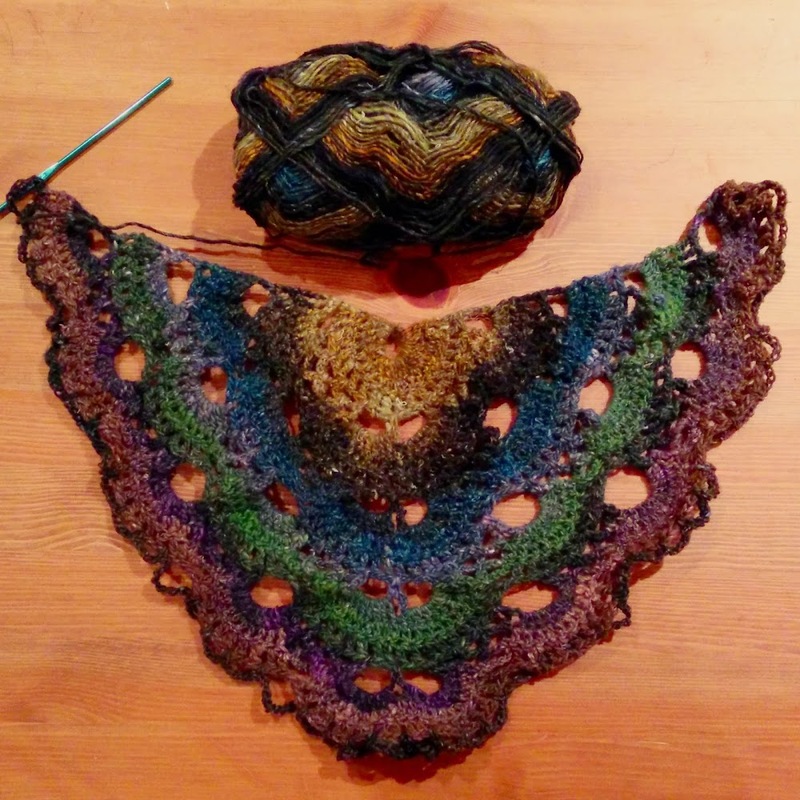 At MSDW in 2013, I bought two skeins of Noro Silk Garden Sock with the intention of crocheting a shawl that I could wear to events like these. After much deliberation, I settled on Schultertuch/Dreiekstuch, a free pattern from a German Raveler. 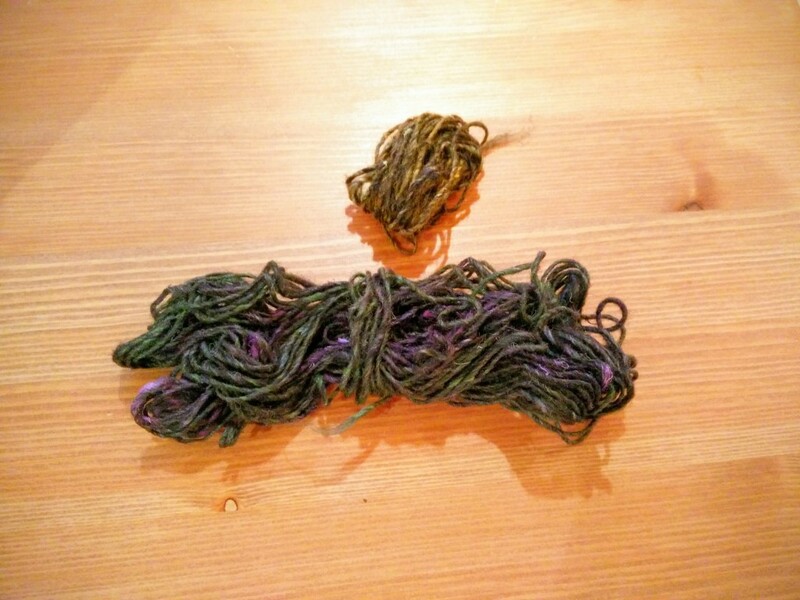 Noro being Noro, the first colour off the ball was a rather icky shade of yellowish brown. 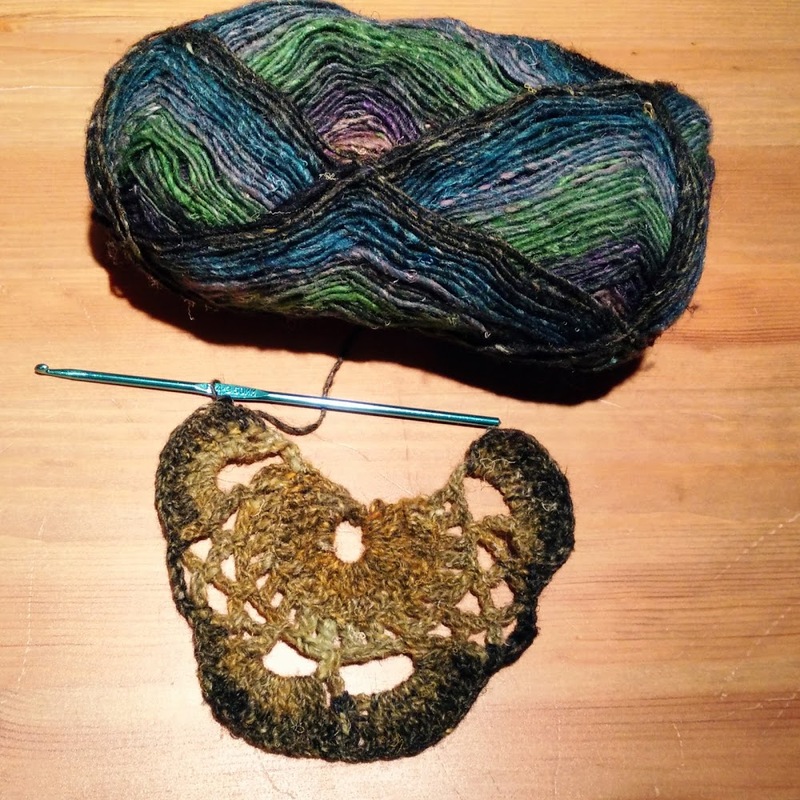 Since this is the centre/top of the shawl and will be up by the nape of my neck, I decided to just work with it and see what happens, rather than lose any yardage by skipping ahead to the nicer black and teal. It's been a quick start, so I'm hopeful that I'll be able to get it all finished and blocked before heading northwards. I can't imagine using this yarn for actual socks; even though it's called "Silk Garden Sock" it's a rough single with slubby spots, generally unsuitable for anything like socks. 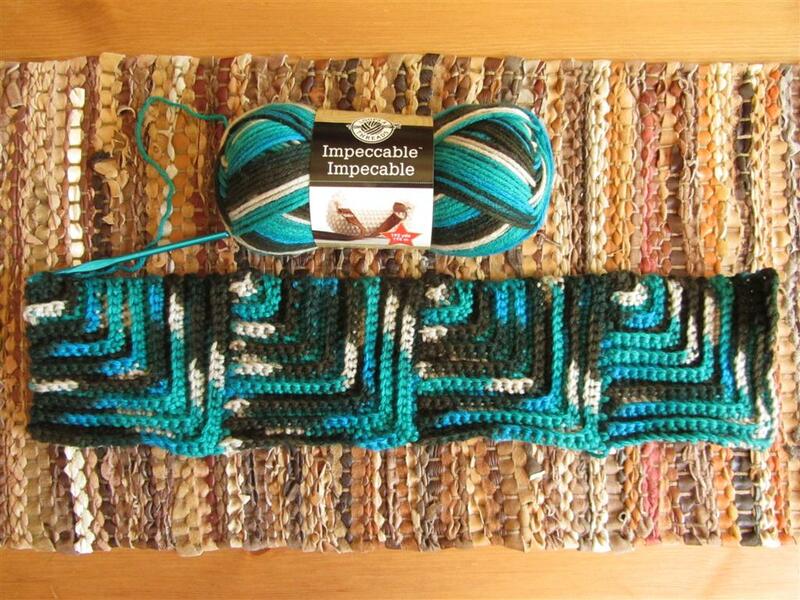 But for a shawl, I think it will be just perfect! Comments Off on In Which the Pirate Has Startitis.